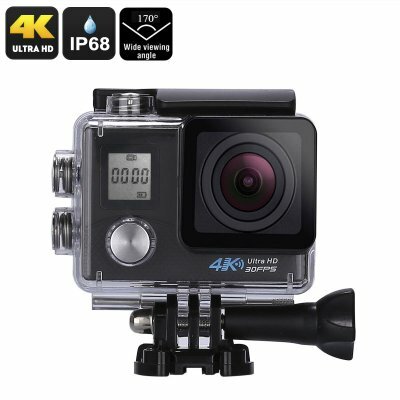 Successfully Added 4K Sports Action Camera - Sony 16MP 1/3.2-Inch CMOS Sensor, 170-Degree Lens, 2-Inch Display, 4K Video, 16MP Photo, WiFi, IP68 to your Shopping Cart. This 4K action camera comes with a 12 months warranty, brought to you by the leader in electronic devices as well as wholesale sport action cameras..
Great product was as described. Easy to set up and plenty of attachments. Definitely recommend this product and seller.